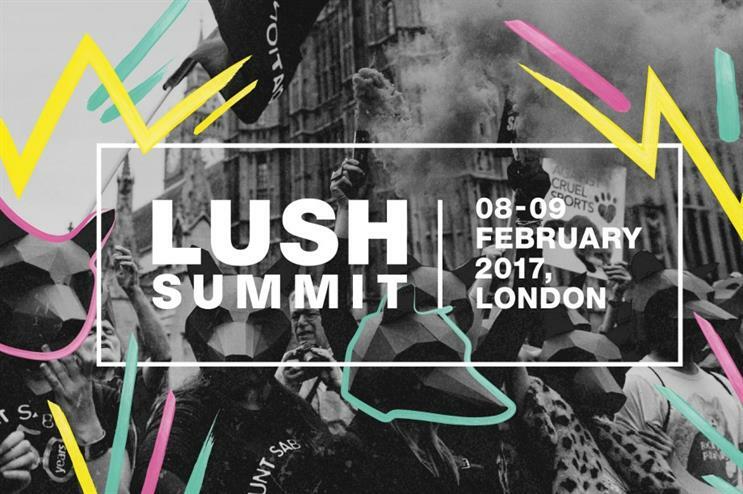 Cosmetics brand Lush has announced plans to stage its Lush Summit this February in East London. The event calls for activists, campaigners and people who relate to Lush's ethos to gather on 8-9 February to celebrate their mutual interests. Guests will be invited to talks hosted by charities and non-profit organisations from around the world. Lush hopes to engage people in an open conversation about animal rights, human rights and the future of the environment. The Lush Summit will also be celebrating 10 years of the brand's Charity Pot hand and body lotion. Alongside talks, guests will be able to try out exclusive Lush products. Those interested in the event can register for free. The summit will open at 11am on Thursday 8 February, and will close at 5pm on both days. In November, Lush launched a paper-screen printing workshop which allowed customers to print one of Lush's festive designs onto Khadi Paper. In December, retailer Topshop staged beauty workshop the 'Beauty Spot'.